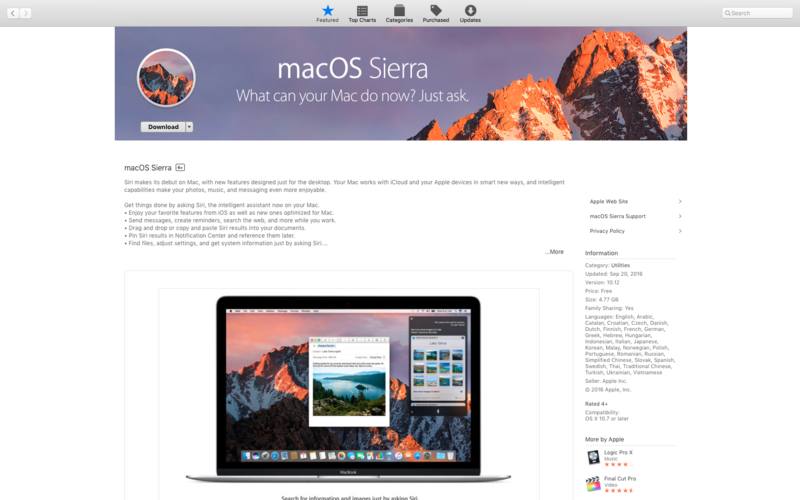 For those looking to update to the new Apple macOS Sierra, it is now available. To get it, from your Mac, go into the App Store and look in the featured section. There you will find the link to download the latest version of the desktop operating system. The update is free. Once you click on the initial download link, you will go to the macOS Sierra page where you will be able to download the 4.77 GB (that’s Gigabyte) file. 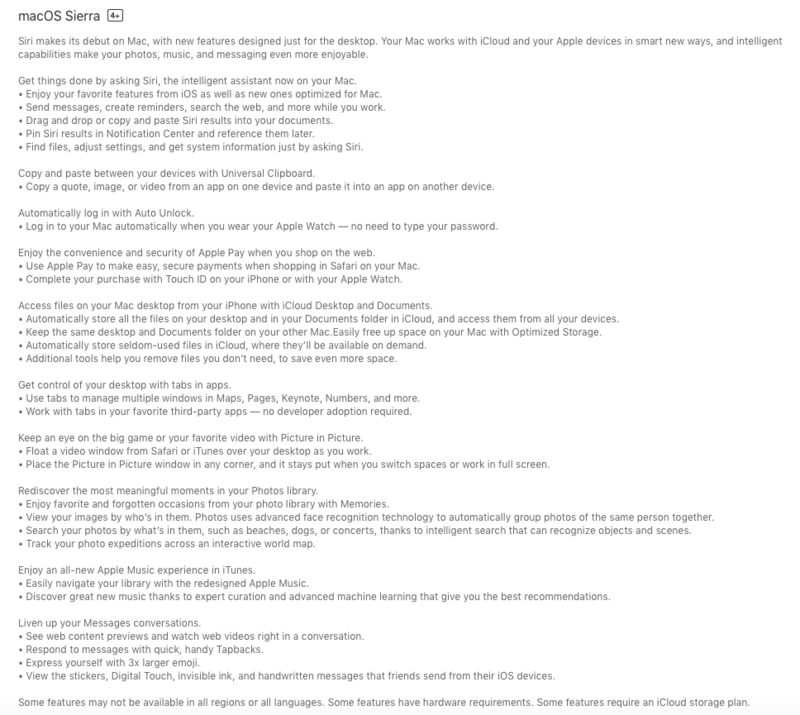 From the Apple App store, here are some of what you can expect. Note (as stated below) some features are not available in all languages, some features have hardware requirements, which means you may be able to update to macOS Sierra but not use all the new features depending on how old your Mac is, and some features require you to have an icloud storage plan to use.